Rongcheng Environmental Engineering Group Co., Ltd. 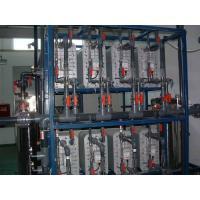 Reverse osmosis is a new membrane separation technology developed in 60s. 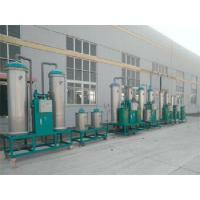 It is a membrane separation technology which uses pressure difference as its motive force. Originally it develops from American space navigation in 1960s and it is for civil use in various fields, such as scientific research, pharmaceutical industry, food industry, beverage industry, desalination of sea water, etc.. However, ultrapure water for industrial use, such as fields of electron, electric power, chemical, electroplating and boiler, is usually used as primary treatment of deionization or EDI. Compared with traditional technology using ion exchange resin as primary treatment, reverse osmosis has advantages of low cost, energy saving, steady operation and purer water outflow and it greatly extends the regeneration period of post-stage ion exchange resin and cleaning period of EDI. Osmosis is a physical phenomenon. When two kinds of salty water with different concentration is separated by a semi-permeable membrane, it is easy to find that water with low level of salinity will permeate membrane into water with high level of salinity, but the salt is remained. Therefore, it gradually makes the concentration of two kinds of water blend evenly. This process is called natural osmosis. Reverse osmosis is a separation method which separates solute and solvent of solution under pressure drive by the selection and trapping effect of semi-permeable membrane. 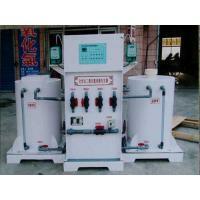 Reverse osmosis equipment is a set of water treatment system based on reverse osmosis membrane. 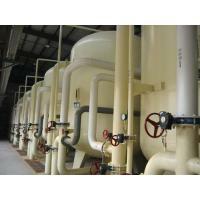 A complete set of reverse osmosis system is composed by pretreatment part, reverse osmosis host machine(membrane filtration part), after treatment part and cleaning system. 1. Pretreatment system is consisted of quartz sand filtration device, activated carbon filtration device and precise filtration device with the main purpose of removing sand, rust, colloidal substance, suspended solids, pigment, smell and biological organic matter in raw water and decreasing remaining ammonia value and harmful substance, like pesticide pollution. 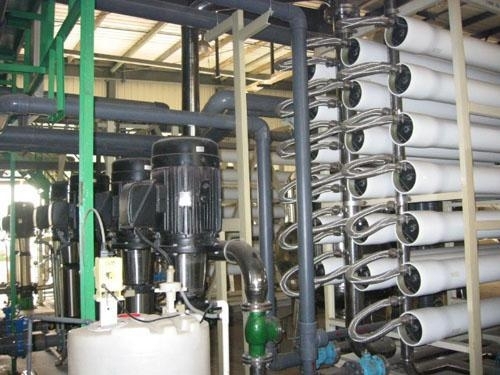 If the quantity of calcium and magnesium in raw water is high, soft water device is needed, so as to protect post-stage reverse osmosis membrane from damage by large particles and extend service life of reverse osmosis membrane. 2. Reverse osmosis host machine, as core of whole water treatment system, is composed by blower pump, putamen, reverse osmosis membrane and controlling circuit, which decides the quality of outflow water. As long as proper model of membrane and blower pump is used, the salinity filtering capacity of reverse osmosis host machine can be up to and over 99% and conductivity of outflow water can be within 10us/cm(25°). 3. 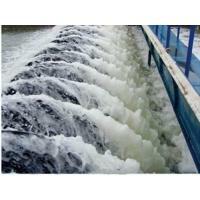 After treatment mainly processes on pure water made by reverse osmosis host machine. 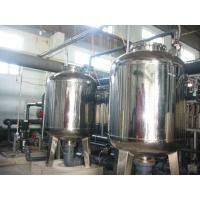 If connected with ion exchange or EDI equipment, after treatment can produce industrial ultrapure water; if used on civil direct-drinking water craft, it is connected with sterilization device, such as ultraviolet germicidal lamp or ozone generator, so as to make direct-drinking water. 4. In order to make sure reverse osmosis equipment operates normally and to extend service life of reverse osmosis membrane unit, it needs cleaning after certain period of operation to remove dirt, such as calcium carbonate, metallic oxide, biological growth (germ, fungus, mould), etc. 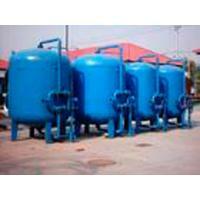 Under circumstance of normal temperature and no phase change, it can process separation of solute and water. 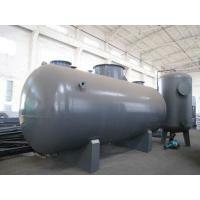 It is applicable for separation and concentration of heat-sensitive substance. Compared with separation method of phase change, it is lower energy consumption. 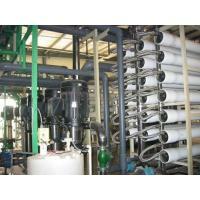 Reverse osmosis membrane separation technology can remove a wide range of impurities. With high desalination rate and water reuse rate, it can trap solute of several nanometers. It applies low pressure as its membrane separation driving force, therefore the separation device is easy and safe to operate, maintain and control. 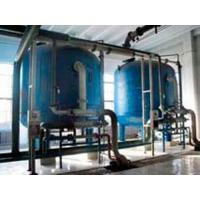 As a result, reverse osmosis water treatment technology is widely used in fields of boiler water supply, ultrapure water treatment of electron and semiconductor, pure water treatment of chemical and pharmaceuticals, food, drinks, drinking water, sea water, metallurgy, light industry, electroplating and leather industry. RONGCHENG GROUP (Rongcheng Environmental Engineering Group Co., Ltd.) locates at the famous pottery City-Yixing, which is at the bank of West Lake in central Yangtze River Delta and is very close to Shanghai, Nanjing and Hangzhou with convenient traffic. It covers wide-ranging fields, including environmental equipment, software development, landscape, lighting, etc. It has formed a new industry patter with water treatment equipment, software development, large musical fountain and floating fountain as its core, road telegraph post and lighting as its leading products and fountain automatically control system, water treatment automatically control system, building observation system and LED lighting developing neck and neck. Established in 1999, it owns several subsidiary companies, such as Wuxi Spoondrift Environmental Engineering & Technology Co., Ltd., Shanghai Spoondrift Fountain Engineering Co., Ltd., Shanghai Rongcheng Lighting, Wuxi Rongcheng Software Development & Technology Co., Ltd., etc. It also gains plenty of qualifications, like electronic installation Ⅱ, landscape Ⅲ, city lighting Ⅲ, environmental engineering Ⅲ, steel structure Ⅲ, building construction Ⅲ, decoration Ⅲ, fire fighting device Ⅲ, building intelligence Ⅲ. It wins international biddings many times and undertakes 15 international grand projects in recent years and holds many state patents. Its products and services gain great popularity and good reputation.